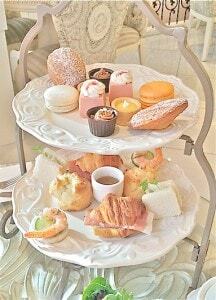 I really love afternoon tea. 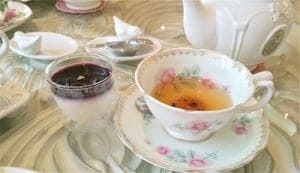 I’m enamoured by every aspect of the afternoon tea experience – the decor, the ambience, the delicate finger foods, the tea selections and of course, the sweet desserts. 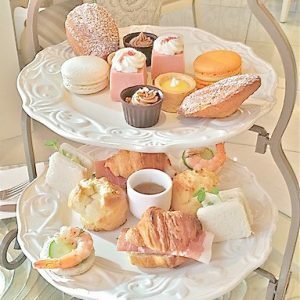 I’m always on the lookout for a new place in Vancouver for afternoon tea. One place that has been on my list is Patisserie Fur Elise. From what I had gathered so far, the business is run in a Victorian heritage house that has been in Vancouver since 1893. It’s a popular choice for hosting bridal showers and for those looking for a nice place to sit down with their girlfriends. For me, the girlfriend I brought along to this particular tea house was Jo, who writes the WhiteRosesAndCoffee Blog. Up until that point, I had actually never met Jo in real life. 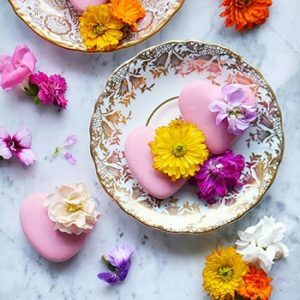 We had been Instagram friends for quite some time and I had also been reading her blog. From it, I learnt that she was a mom of two boys and possessed adventurous tastes in both food and fashion. Unlike Jo, I don’t have any kids yet but I always like speaking with super capable moms about how they literally do it all. So was this going to be my very own Catfish story? LOL, no I’m just kidding – it was more like the modern equivalent of meeting a pen pal in the digital age. As soon as I saw Jo outside of the tea house, she came over to give me a HUGE hug and told me, “You look exactly the same as in your photos, Mimi”. I hope it was a compliment as my first thoughts of her were that she had a strikingly beautiful voice and that she was much edgier in person – my kind of girl! We had a nice chat outside in the dainty courtyard because the restaurant remained closed until exactly 1 pm. Even though we had made reservations, it got us so concerned that we called to make sure it was open for the day. They answered and indeed they were still open for their three dedicated sittings – 1 pm, 3 pm and 5 pm. 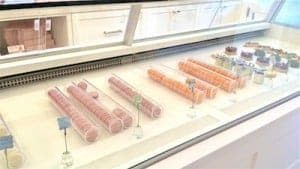 As we entered the front door, I noticed a staircase leading upstairs and to the right, there is a parlour that has beautiful glass cases holding baked goodies that were ready for take away. There are also non-perishable items in glass containers which I think would make great gifts that can travel well. We were led upstairs through the narrow staircase by the pretty server adorning an adorable vintage inspired doll uniform. 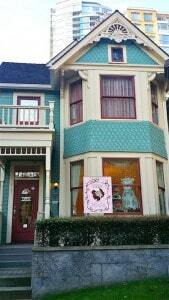 When we reached the upper floor, I felt like I had really transported into a very cute and sweet doll house. The walls were light pink with alternating beige wallpaper and lined with clean white crown moulding. There were several sparkly chandeliers hanging overhead the service counter. 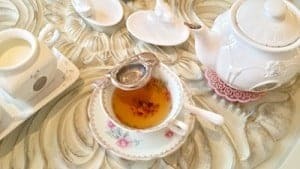 This upper level of the house is dedicated solely for the Afternoon Tea Service so it was so easy to feel relaxed immediately in such a magical setting. Kind of like Disneyland for big girls! We sat down and both decided on the Full Tea set. 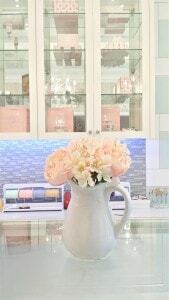 It started with the teas (of course), which were brought out in cute little white porcelain pots. 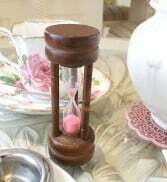 A small hour glass filled with pink sand was laid next to the pot. When the sand runs out, your tea is steeped. It was a nice little touch. They also provided two cute tea strainers in the shape of a bird. It didn’t really work well to strain the tea and the pot itself was not very accurate in the way it poured tea all over the place. In that respect, I think less would have been more. 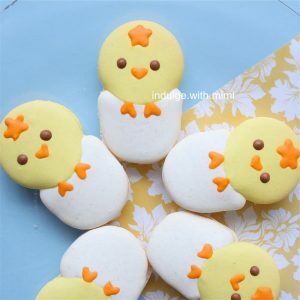 Providing too many cutesy items that didn’t function well made them too gimmicky. We received the first food item on the list which was a creamy panna cotta with a refreshing berry topping. It was very good and the richness of the cream actually made me a little full at that point. Next came the mixed green salad with candied walnuts served in a stylish little cocktail glass. 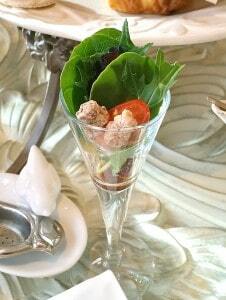 Although, they were served in a different order, these two items were part of the traditional three courses (savoury, scones, sweets) for Fur Elise’s version of their full afternoon tea service. Finally, the main tray containing the Full Tea came after that. 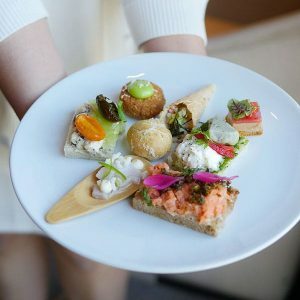 The sweet and attentive server brought over two tiers of mini delicious delights and carefully explained each item on the tray. The savouries consisted of a croissant with prosciutto, brie and basil; a mini avocado and egg sandwich; shrimp with sakura glaze. 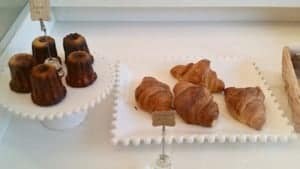 Aside from the croissant which was very fluffy and buttery, I did not think there was anything special about the savoury selections. Besides, the prawns were also not too fresh tasting so I think it’s probably best to leave out “seafood” when it cannot be properly executed. On the other hand, like the panna cotta, all the sweets were very good! I love desserts so for me, the sweet tier is usually where I place my focus. There was a macaron, raspberry mousse topped with whipped cream, chocolate mousse cup, lemon tart and a honey madeleine. I was quite impressed with their perfect in-house macaron. The texture was on point, being both soft and chewy. 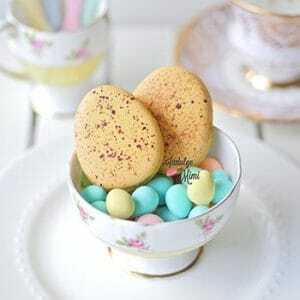 Some dedicated macaron bakeries do not even make such nice macarons. Jo and I thought it was a little strange that they gave us each a different flavour. 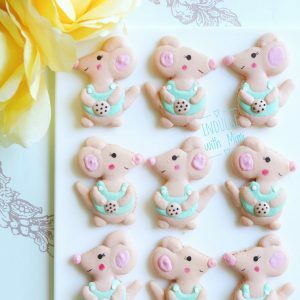 Macarons are hard to share and now they’ve provided us with a glimpse of each flavour – oh piggy dilemmas! Well the mango one I did have left a good impression and now I’m a little curious to try the rest of their flavours. The good thing is that they sell them individually in the downstairs parlour. I think one day I will come by to purchase some more. All in all, I had a great experience. After that day, the lyrics to one of Alice in Wonderland’s iconic songs from the Tea Party scene, “A Very Merry Un-birthday”, rang in my ears for days. 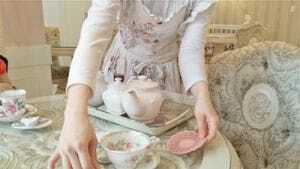 For two hours within my usually fast-paced day, I really felt I had transported into a magical little Tea Party. 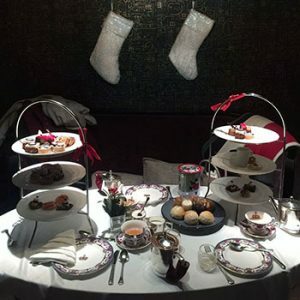 I have yet to find an afternoon tea experience in Vancouver quite like this one. 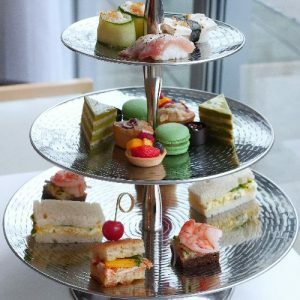 Where do you like to go for afternoon tea in Vancouver? P.S. I have heard that Audrey’s Place in Burnaby is very similar to this and I cannot wait to pay a visit. 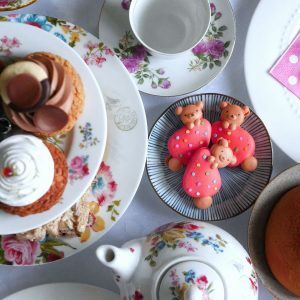 Ambience: No other afternoon tea place in Vancouver can match the cuteness of this place. (Except maybe Audrey’s Moment? But I have yet to go). 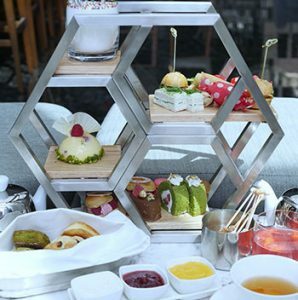 The heritage house in which this establishment operates is dedicated solely to the afternoon tea experience. 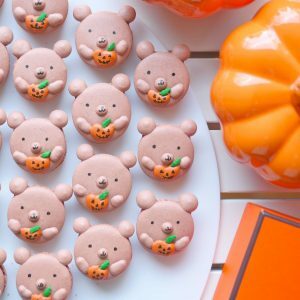 Sweets: Oh my goodness! Every piece was great and I’m very impressed with the macarons! Tea: Not the most extensive or even the most interesting selection I’ve seen. Service: Fully staffed and very attentive. Servers wear cute doll like uniforms. Parking: Street parking right outside if you’re lucky. Public lot across from the business is available. 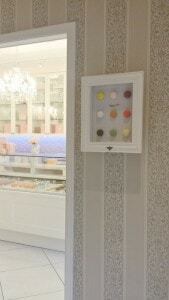 Other notes: There is a parlour downstairs for purchasing macarons and other baked goods for take-away. 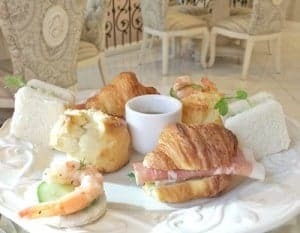 As for the sit-down service, they also offer 2 different smaller sets aside from the Full Afternoon Tea ($30 per person). The Macaron Set for $15 includes a tea and 6 macarons while the Sandwich set I believe is $18. 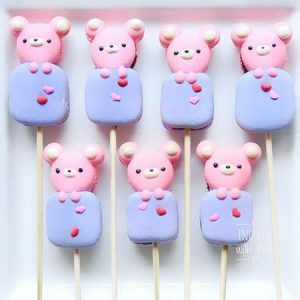 Aww, I love this post Mimi! Your pics are beautiful! And I agree this place is so pretty. 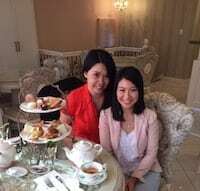 I’m thinking about bringing my friend to Audrey’s Moment for high tea soon too (her daughter’s name is Audrey). Let’s meet up next month, I’ll call you.